EXCLUSIVE: Many have tried but failed to get newly elected MAU President Dato Zainal Abidin Haji Ahmad to speak up after he was elected to the hot seat of President some two weeks ago. This blog managed to get in touch with Dato Zainal and he agreed to provide some answers to questions posed, both via email and over the phone. Having known Dato Zainal since 1993, I must vouch for his sincerity and credibility and love for athletics. No doubt it will take him time to overcome the issues, but what matters is that he will do things with conviction, as he has a 33 years unblemished civil service record to fall back upon. Note: For those who desire to lift the quotes from here, please feel free to do so but contact the blogger for permission. SSD: What made you go for the President’s post at MAU given the fact that as a former civil servant with 33 years of service with an impeccable record you were wading into dangerous though not unchartered waters? DZ: My observation is that MAU is not doing well and I felt, with my experience the last 45 years, I can try to put things right after I discovered no one is being nominated for the post! Now that I am given the opportunity, I want to give the association the leadership it requires and to better manage it. The rest will follow. To do this I need the support of all members in the Council, the government and the public sector. With everybody’s cooperation we will turn around the association. SSD: Please share with us your service record in athletics as you have had years of involvement in different capacities. DZ: I was elected as the Secretary of the Negeri Sembilan Amateur Athletics Association (NSAAA) in 1967 and served for 4 years. Was Vice President from 1972 – 1980 and Deputy President from 1980 – 1992. From 1992, until the present, I have been the President of the NSAAA. During the same period, I was appointed Secretary of the Negeri Sembilan Majlis Kebajikan dan Sukan Anggota-Anggota Kerajaan in charge of twelve sports including athletics. Was also appointed as a council member of the Malaysian MKSAK during the same time and became the sub-committee Chairman for athletics, badminton and sepak takraw. I was also an athlete , a state champion, and represented the State in the sprints, hurdles and the State relay teams from 1965 – 1968. 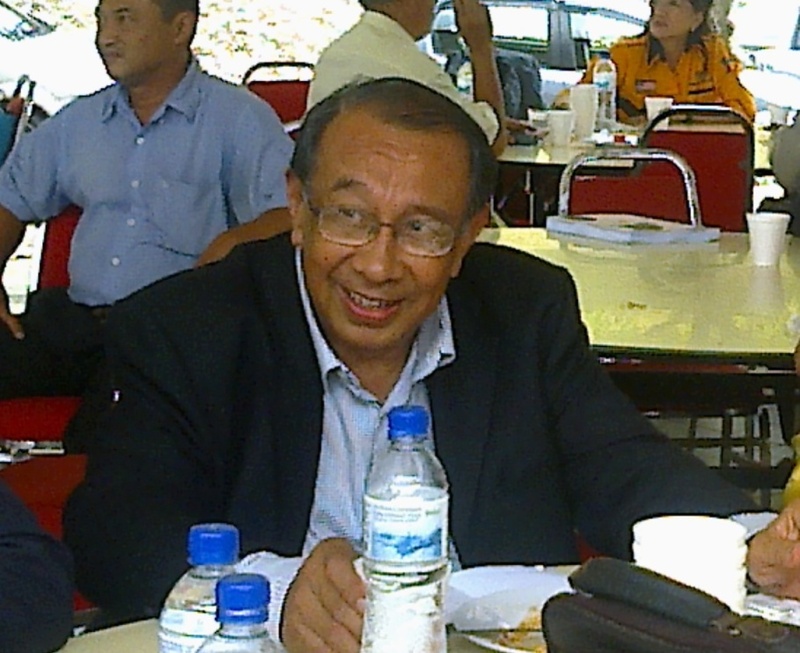 At the national level, was the Acting Honorary Secretary of the Malaysian Amateur Athletics Union (MAAU) from 1969 – 1972, and, then, Vice President from 1980 – 2001. I was also the Coaching Chairman from 1979 – 1990 and, at various times, was also Chairman of the Selection Committee in MAAU. All these took place when the late Tun Ghazali Shaffie was the President of MAAU. In December 2007, was appointed as the Chef de Mission to the 24thSea Games in Thailand. Before that, had been the Team Manager of the national track and field teams to the 1972 Olympic Games, 1978 Asian Games, 1998 Commonwealth Games and the SEA Games in 1971, 1977 and 2001. SSD: Tell us a little about Dato Zainal – the man? DZ: I graduated from the University of Singapore with a BA in Economics and Geography in 1965 and, upon graduation, was appointed into the Malaysian Administrative and Diplomatic Service (PTD). I was posted to Negeri Sembilan as Private Secretary to the Menteri Besar. This was followed by the appointment as the Assistant Commissioner of Land and Mines, Assistant State Secretary and Secretary to the Legislative Council until 1969. From 1970 until 1982, I served in Dakar, Washington D.C., Bangkok and Medan. I was the First Secretary at the Malaysian Embassy in Washington D.C., U.S.A., Counselor and Permanent Representative to ESCAP in the Malaysian Embassy in Bangkok, Thailand, and the Consul-General at the Malaysian Consulate in Medan, Indonesia. During the same period, while in Malaysia, he held the post of Principal Assistant Secretary (Inspectorate), Ministry of Foreign Affairs. From 1982 and, until 1987, served as the Under Secretary for the Scholarships Division and the External Affairs Division in the Ministry of Education. From 1987 to 1993 was the Under Secretary for the Defence Industry Division and the Development Division in the Ministry of Defence. Then, from mid-1993 to 1996, was seconded as the Director-General of the Malaysian Timber Industry Board (MTIB). I married Tan Sri Nuraizah Abdul Hamid in 1972 and have three children. I retired from the civil service in 1996. SSD: MAU has for more then a decade being in the press for the wrong reasons. How can you change the perception? DZ: Perceptions can be changed if transparency is practiced. That is where I believe that my years in civil service will help me administer MAU better. But mind you it will take a huge effort and it will be the collective responsibility of all those associated with the sport. No one person can lay claim to better MAU and I surely do not intend to work for accolades but rather depend on the notion of shared responsibility. SSD: The stigma of the alleged doping incident will continue to haunt MAU in the years to come. Had you been in the position earlier, would you have handled things differently? DZ: One thing is certain, that both in the sports and the country’s laws there are laws to punish doping/drug offenders. I believe that we need to respect the law and let nature take its course. Those who are guilty ought to face punishment in accordance with the laid out regulations. SSD: Everyone seems to offer a remedy for athletics without being able to pinpoint where actually we went wrong in the first place. Your diagnosis and prognosis of the current development imbalance? DZ: That is so true as I have been reading and been told about the state of affairs in athletics, all the negative things but without any concrete solution. When I decided to offer myself as a candidate for the presidency, I already have a plan on how to go about improving things. But as I stated it is not something etched in stone and maybe others have better suggestions and can offer solutions. So I am practicing an open door policy, write to me, come see me in the office as anyone with suggestions to help the sport will be welcomed. We owe it to our nation to correct any flaws and improve sports, in this case athletics. SSD: Administration of MAU is also under question as a strong administration reflects the ability of an association. Any changes in store? DZ: I am a firm believer that employees should serve the government of the day – without fear or favour. Thus what I want is for employees, be it office staff or coaches to be apolitical, not to have any hidden agenda or serve any personalities but the sport itself. Changes are inevitable in any organisation but to what degree it is left to be seen. SSD: How will you see MAU say in two years from now? DZ: We have a tendency to judge success with the number of medals won rather then having a system in place that will eventually bear fruit. That is why I want to appeal to all, be it fans, media and officials as well as athletes to judge us on a wider perspective and not just medals. Athletics needs a revamp and it might take time to regain our lost glory. Two years may not be sufficient but I promise to do my level best to improve or better the image of MAU and try to achieve the desired results with the assistance of the fraternity.